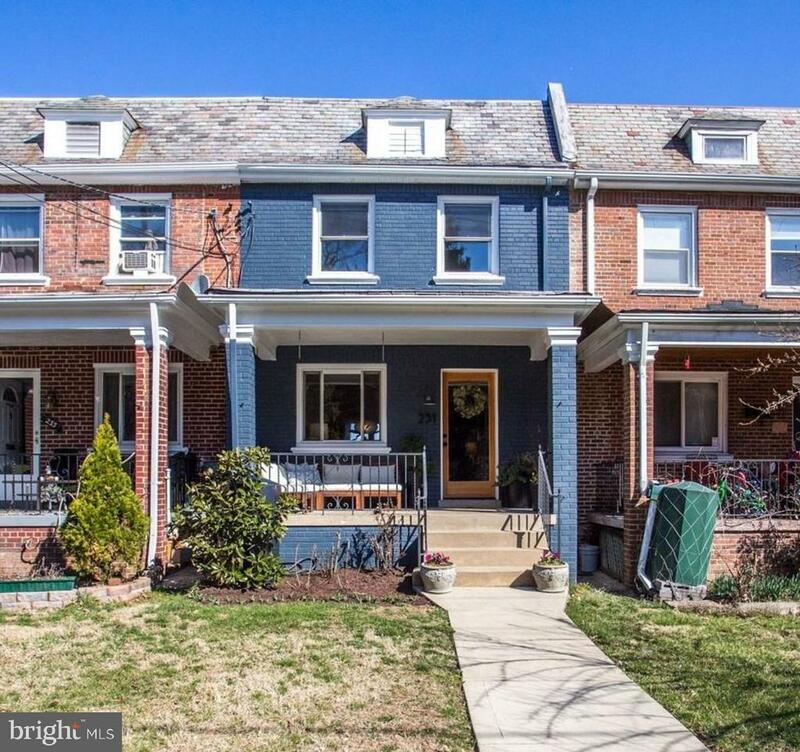 Gorgeous, fully renovated rowhome in the heart of the highly sought-after Petworth neighborhood! This 3 bedroom/2 full bathroom home provides 1, 750+ finished sq. ft. to enjoy amongst all three levels. Every aspect of the remodel of this home was thought through as a homeowner. From the custom gourmet kitchen featuring; Stainless steel appliances, large gas stove, custom cabinetry and countertops, with a one-of-a-kind island built to perfectly suit the space. The gleaming hardwood floors, custom ceramic work, and finishes blend classic with modern touches for the perfect result you~re looking for. The house is upgraded with central air throughout and smart capabilities through the user-friendly nest thermostat. The cozy basement can be space for entertainment to hosting with a fully finished bathroom and additional rear entry spanning the footprint of the building. The large front and rear yard allow for your green thumb to be shown but with little to no maintenance. Just past the privately fenced in rear yard lies an off street, private parking pad, remediating the large city issue of parking. Bus line stop is steps from the front door and equally split between two local metro stations, just over a mile away as well (Georgia Ave-Petworth and Fort Totten). Countless nearby restaurants and stores. ACT NOW and dont miss out on this District gem! Green Remarks: Rain collection barrels in both the front and rear of the house.